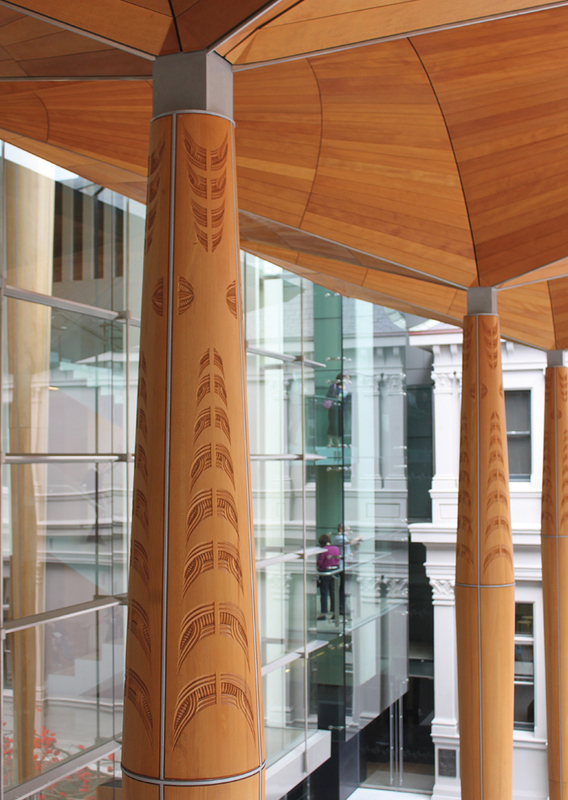 The Auckland Art Gallery Toi o Tāmaki is an extensive public project that includes the restoration and adaption of heritage buildings, a new building extension, and the redesign of adjacent areas of Albert Park. The architecture has developed from a concept that relates as much to the organic natural forms of the landscape as it does to the architectural order and character of the heritage buildings. 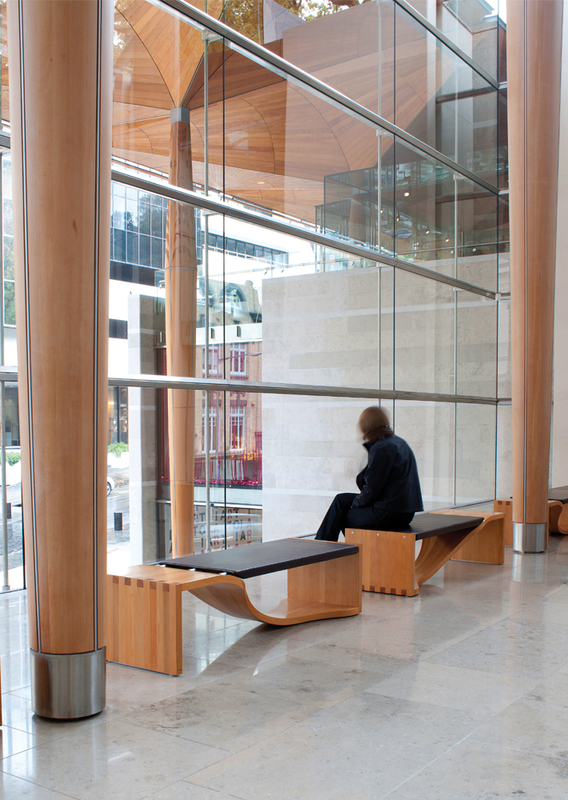 The new building is characterised by a series of fine tree-like canopies that define and cover the entry forecourt, atrium and gallery areas. 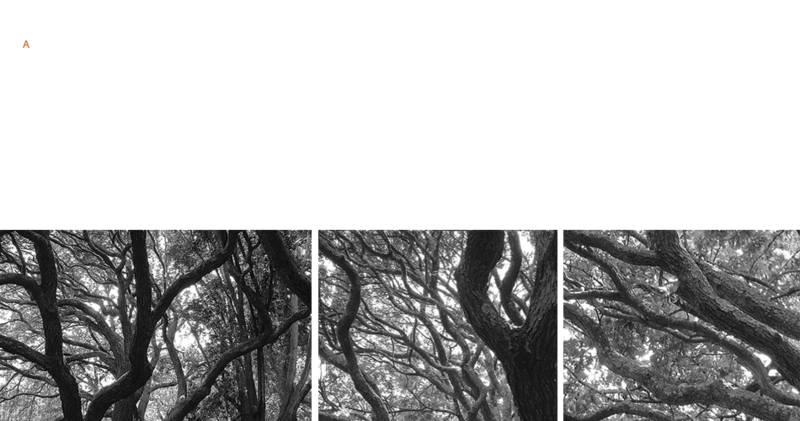 These light, profiled forms are inspired by the adjacent canopy of Pōhutukawa trees and 'hover' over the stone walls and terraces that reinterpret the natural topography of the site. 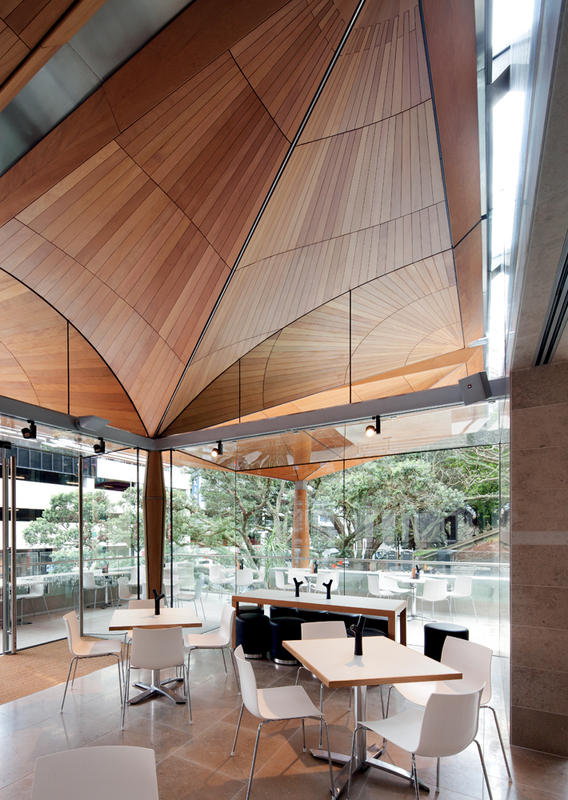 The ceilings of the canopies are assembled from carefully selected Kauri, profiled into precise geometric patterns and supported on slender and tapering shafts. These emblematic forms give the gallery a unique identity that is inspired by the natural landscape of the site. Between the stepped stone podium and hovering canopies, an openness and transparency is created to allow views through, into and out of the gallery circulation and display spaces and into the green landscape of Albert Park. In this way the gallery opens to the park and adjoining public spaces in an inviting and engaging gesture of welcome. 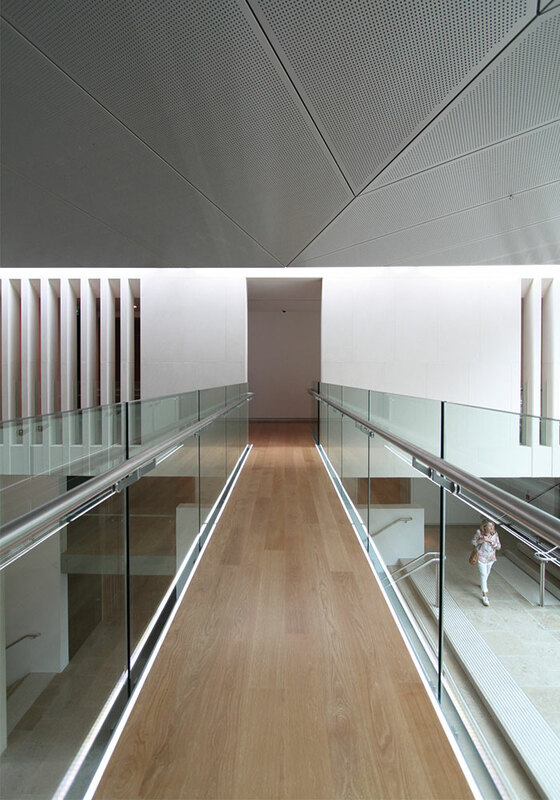 The entry sequence into the gallery follows a progression from the street forecourt, under a generous and welcoming canopy, through into a lower foyer to emerge via a broad stair into the large, light-filled atrium. The atrium provides a central orientation and display space for all visitors. 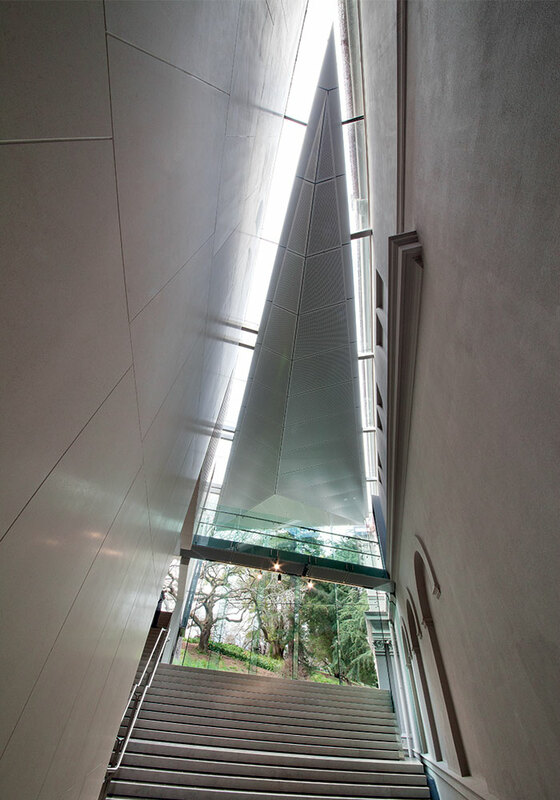 Gallery circulation extends from the main atrium in a clear series of loops interconnecting all gallery spaces via the smaller southern atrium that mediates the junction with the existing Wellesley Wing.  A diverse range of exhibition spaces and rooms are created, both fixed and flexible, formal and informal, heritage and contemporary, naturally lit and artificially lit, open and closed, high spaces and lower spaces. 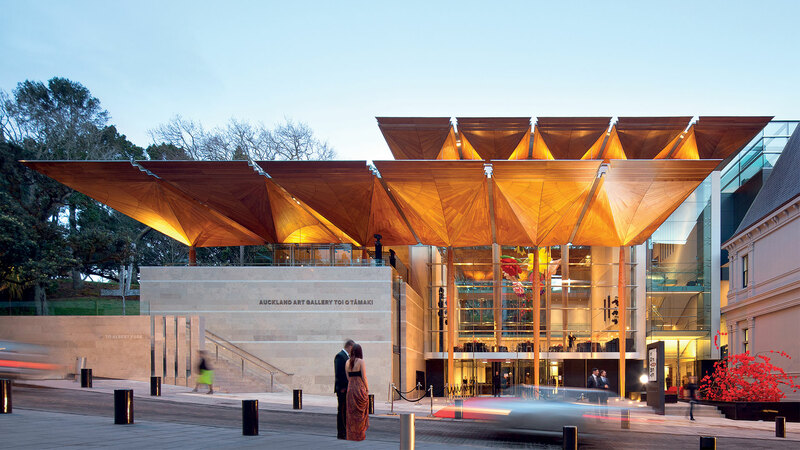 In conscious opposition to the mansard roofs of the existing building, the tessellated canopy roof in Karuri wood extends over these galleries so as to bond the old and the new indissolubly together; this fusion that extends beyond the roof forms to encompass the circulation itself. 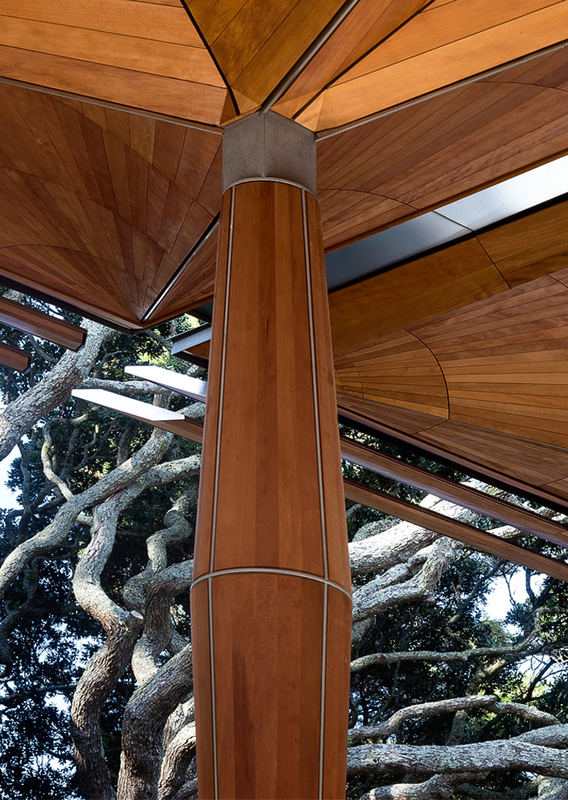 The ceilings of the canopies are assembled from carefully selected Kauri, sourced only from fallen forest stocks, profiled into precise geometric patterns. 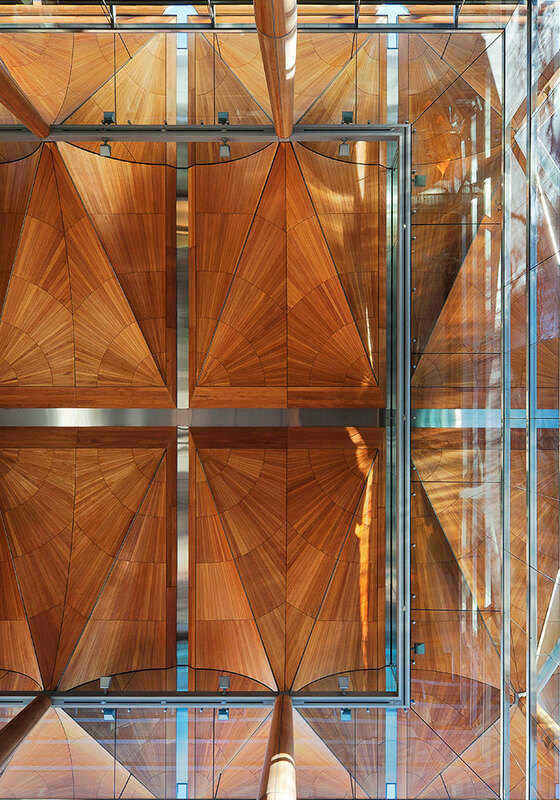 A synthesis of computer aided design, skilled joinery techniques and traditional boat building technology was used to fabricate the Kauri canopy. The south atrium frames a vista to the tree canopy of Albert Park. 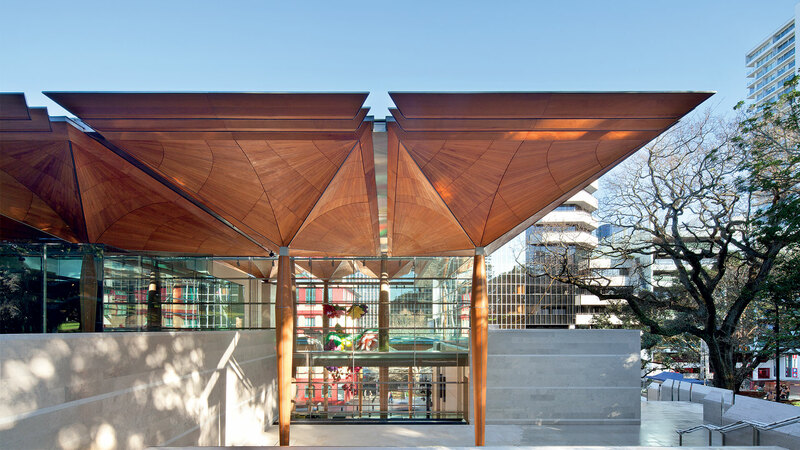 A stepped informal amphitheatre is created for school and educational groups as well as performances, the triangular ceiling of the south atrium is set back from the heritage building via a perimeter of skylight. The bridge through the south atrium connects the Wellesley Gallery with the main building.